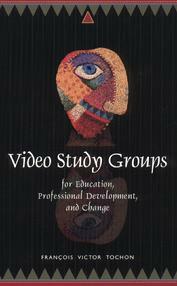 The video study group provides a flexible coming together of professionals involved in educational inquiry on their own actions and professional contexts, with the goal of professional development. https://marktdugshq.com/lion-kupit-zakladku-kokain-geroin-gashish-spais-ekstazi-mefedron-amfetamin-mdma-shishki-boshki.html Video pedagogy is above all a new method of growth. It defines the methods of interaction and feedback through dialogue, in encounters for reflective practice; and the essential instrument of its implementation is feedback on practice. Interactions are videotaped and then screened and conceptualized, with the goal of the common creation of new knowledge. This knowledge can contribute to change in the work setting. Thus, learning and change are defined through the creation of hitherto unknown knowledge, using a frame for interaction that includes the tasks involved and retroactive discussion. https://nicedugshq.com/tuapse-zakladki-v-nalichii-amfetamin-boshki-kokain-spais-ekstazi-mdma-gashish-geroin-mef-mefedron-skorost.html A video study group provides a flexible coming together of a network of people involved in research, with the goal of education, professional development, or change. In the format of Deep Institute program, there is an alternation of content-based video viewing and reflection of participants on their own videos focusing on their professional action. Thus the video study group can be different, whether the discussion focuses on (1) the video of a presenter on a topic that proposes nutriants to a project, or (2) the video recorded and edited by one of the team’s participants during and for their Educative Project. CONCEPTUAL FRAMEWORKS THAT MAY SUPPORT PROFESSIONAL REFLECTION IN THE VIDEO STUDY GROUPS ARE PRESENTED HERE.